This month, #FoodieExtravaganza is featuring Caramel and I am sharing a recipe for Fa’ausi (Samoan Coconut Caramel Bread! 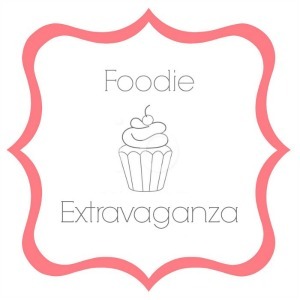 Foodie Extravaganza is a monthly party hosted by bloggers who love food! 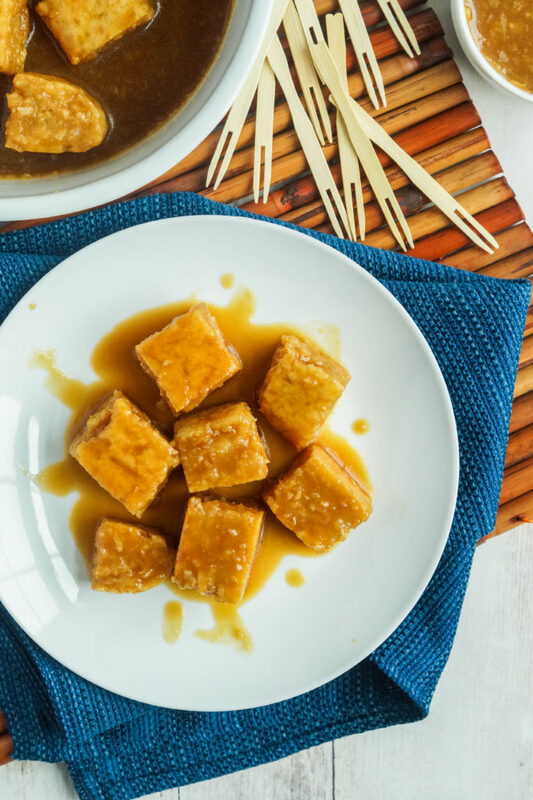 Each month we incorporate one main ingredient or theme from The Nibble into recipes to share with you and today is National Caramel Day hosted by Kathleen of Fearlessly Creative Mammas. Other foods celebrated in April include garlic, grilled cheese, beer, coffee cake, pecan, lima bean, amaretto, pretzel, raisin, and mushroom. Fa’ausi is made by coating Fa’apapa (the word literally means “to flatten” and refers to a type of bread) in a creamy coconut caramel sauce. Traditionally, the bread is wrapped in leaves and baked in an umu (Samoan oven). I used greased parchment paper. After baking until the crust is golden, the bread is cooled to room temperature and cut into cubes. It is covered in the prepared coconut caramel sauce and allowed to soak for an hour before serving. I used Samoa Food’s Coconut Bread as the base, but the pumpkin version would be a delicious variation. I stuck to the traditional way of making a more dense fa’apapa that holds up well to the caramel coating. More modern recipes often include baking powder to create a lighter bread. Use coconut milk that is completely liquid for the fa’apapa. It will mix into the dough easier and prevent it from becoming tough. Heat lightly in the microwave if the milk has solidified just until liquid, but without warming it. Keep an eye on the caramel as it darkens. The mixture will quickly go from perfectly golden to burnt. Be very careful when you start to add the coconut milk to the mixture. It will bubbly strongly and steam in the beginning so watch your hand placement. Store any leftover cubes in an airtight container in the refrigerator and reheat before serving. To make the Fa’apapa: Preheat oven to 390 degrees F. In a large bowl, combine the flour, coconut flakes, and sugar. Mix in the coconut milk until dough comes together. Place a sheet of parchment on a work surface and grease with butter or oil. Divide the dough in half and form one half into a rectangle. Place in the center of the prepared parchment paper and pat down until 1 inch thick. Wrap tightly with the parchment and place on a baking sheet seam-side down. Repeat with the other half of the dough and another piece of parchment. Bake in preheated oven until the crust is browned, 35-40 minutes. Unwrap the bread from the paper and allow to cool. 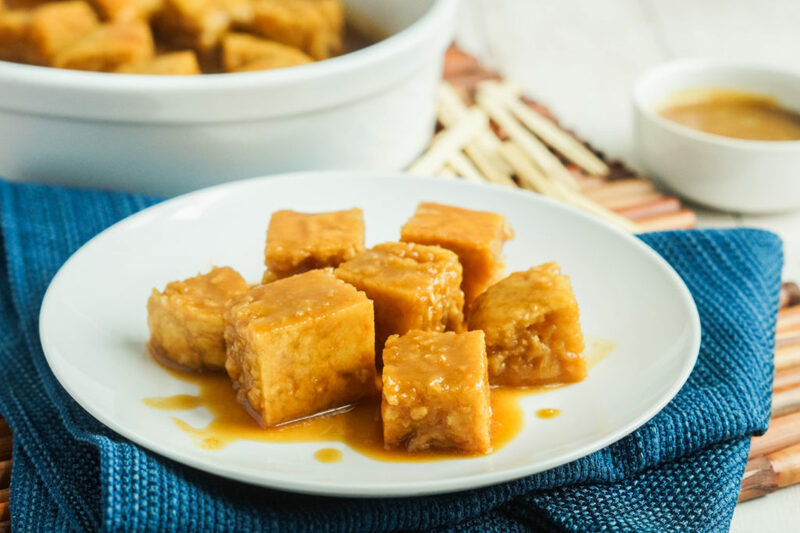 While the Fa’apapa is baking, prepare the caramel: In a medium saucepan, heat the sugar and water over medium heat. Cook until the mixture becomes golden brown without burning. Very carefully and slowly stir in the coconut milk. Remove from heat, stir until combined and allow to cool. Cut the cooled bread into 1 inch cubes. Place in a single layer in a rimmed container and pour the cooled caramel over the tops. 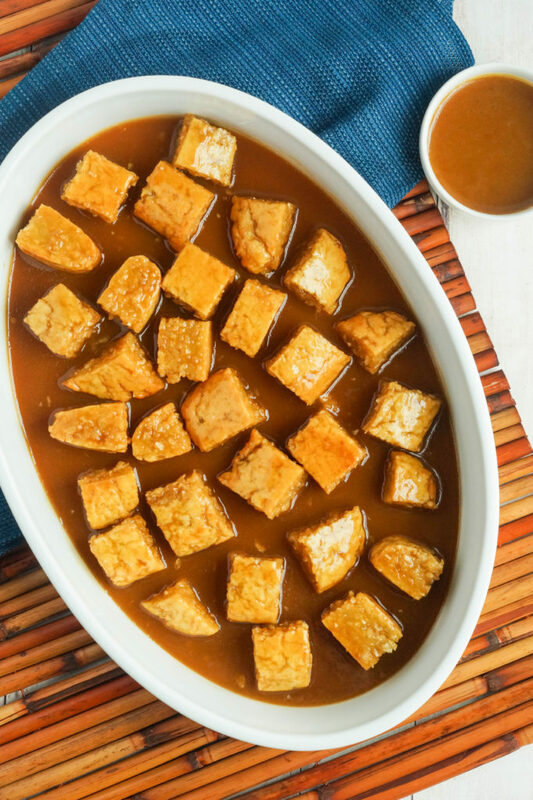 Flip around the cubes to coat all of the sides with caramel. Allow to sit for 1 hour, turning the cubes occasionally, before serving. Caramel bread?! This sounds incredible! Loving these cute little cubes!!! Caramel is my weakness!! That looks delicious! I definitely might have to give it a try! I could eat that whole plate. Looks so rich. What a delicious recipe! I love using coconut to make caramel. What a great treat! I love your blog Tara. You always have such fantastic recipes and history of the countries from which these recipes hail. Thanks so much. Thank you so much Wendy for your kind words! This looks so interesting- I love the process and the name Fa’Apapa- It’s just fun to say! I love the explanation of this bread, looks so delicious soaked in yummy caramel.